You might think that choosing a shower screen is not the most enjoyable part of your home renovation, but if that’s the case you just haven’t been looking at the right shower screens. When I did my recent renovation, the most beautiful ones I found were from Frameless Impressions. 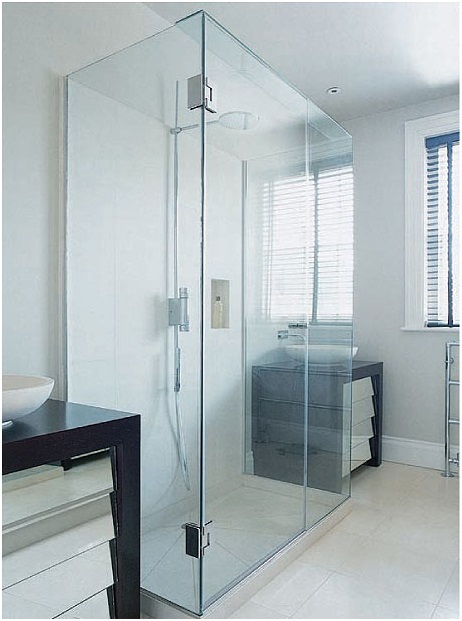 Frameless shower screens have a very understated and modern look, they’re elegant and they give the impression of enlarging the space of your bathroom rather than cutting it off and compartmentalising it. This is a display image of the screen I ended up having installed. 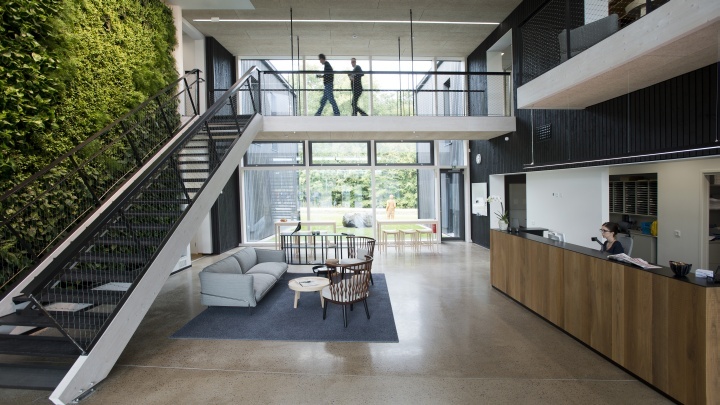 I loved the idea of it as well as the look of it, because frameless screens are very easy to clean to clean and maintain. Unlike curtains, they don’t mould or rust, and the outward swinging door protects the rest of the bathroom from splashing. 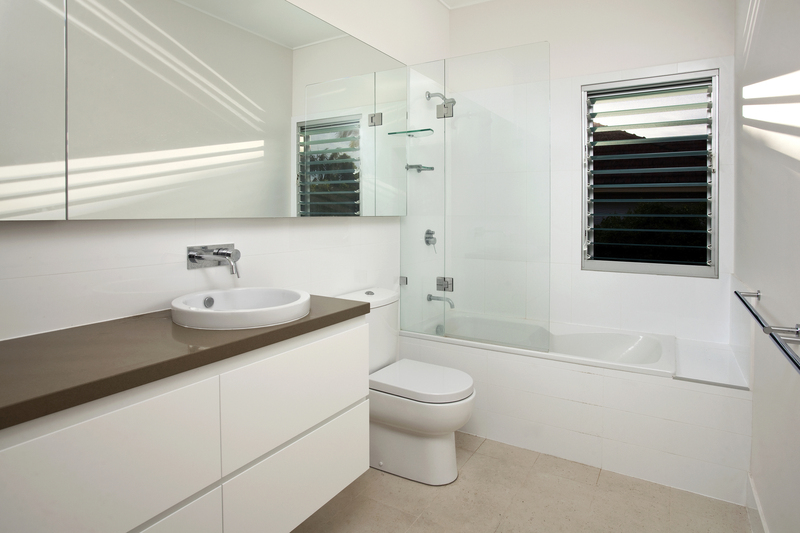 I love the way the glass lets the light from the window in and illuminates the white bathroom and tiles. It gives a real feeling of calm and luxury even though in reality the bathroom is a very small space. Here is another image. 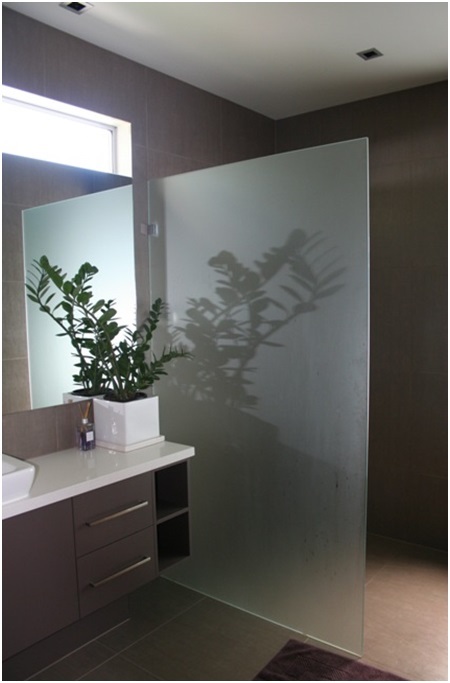 Choose a screen that is the right size and shape for your bathroom. Not all screens have to have doors. Take the one above for example. You want your screen to fit perfectly in with the feel of your bathroom, it doesn’t have to be fancy, just functional and elegant. I was surprised also to find that they don’t have to be expensive. Choose one that you’ll be able to live with for years to come. The guest post below is written by an author who lives in London. So often, design trends begin in Europe and then filter over to the United States. With more and more downtown revitalization projects happening across the U.S. metro areas, urban living is once again becoming more popular for younger adults as well as active retirees who want to be close to the ‘vibe’ of downtown living. 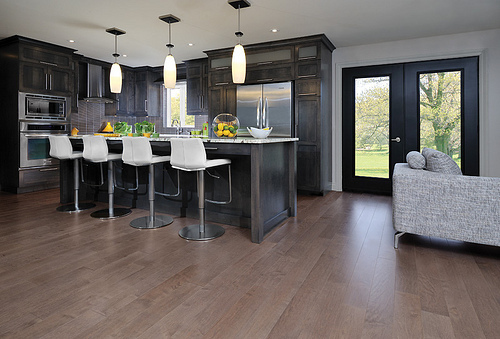 Take a read of some of the kitchen design trends that fit the urban living profile. While some homemakers have transformed their kitchen into bistro-style hangouts, others have made them look like art galleries. And even more people have redesigned their kitchens into culinary studios. Whatever style you choose for your kitchen, popular design trends can help you make a bold statement. With the selection of different textiles these days, everyone is going for a ‘transitional’ design rather than a traditional one. So here are my top five urban kitchen design palettes that will help you create a functional and entertaining hangout. A stark white kitchen with bold hues of emerald is a striking choice this year. You can play with white, shades of grey and incorporate emerald into your seat cushions, a set of vertical drawers or cabinetry, or an accent wall. As a vibrant backdrop, the emerald trend will look refreshing against white walls but also add invigorating warmth to your kitchen. 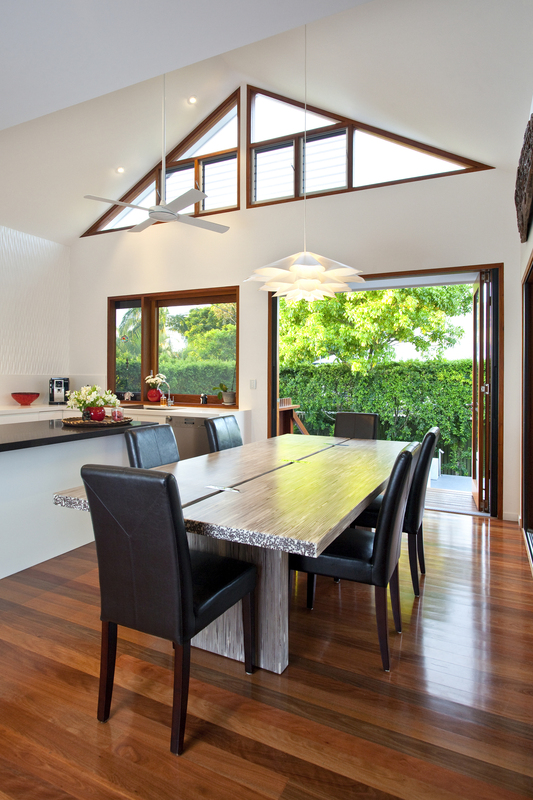 If you’re inspired by waterfront bars or cafés, you’ll enjoy turning your kitchen into a coastal retreat. 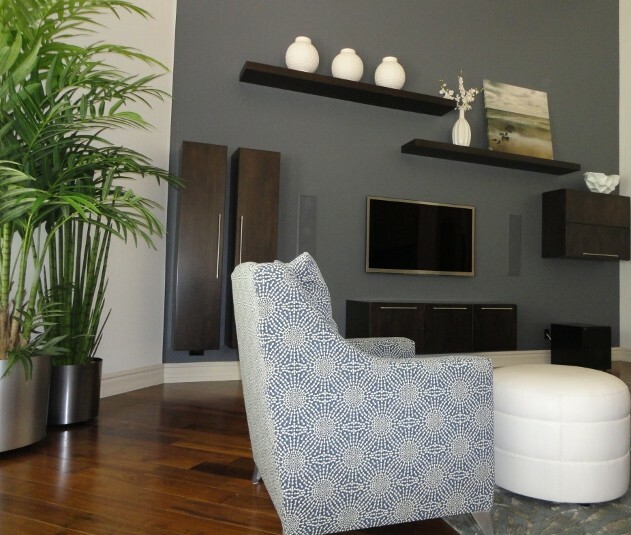 This year the colour blue is on everyone’s renovation radar and never fails to impress. Pastel shades like powder blue can feel smart and sophisticated against a crisp white canvas. Modern details like recessed spotlights, stainless steel fridge freezer, contemporary bar stools and a painted pantry door keep the overall look fresh. Have a look at Wickes doors online for a variety of styles to add doors and dress your windows. 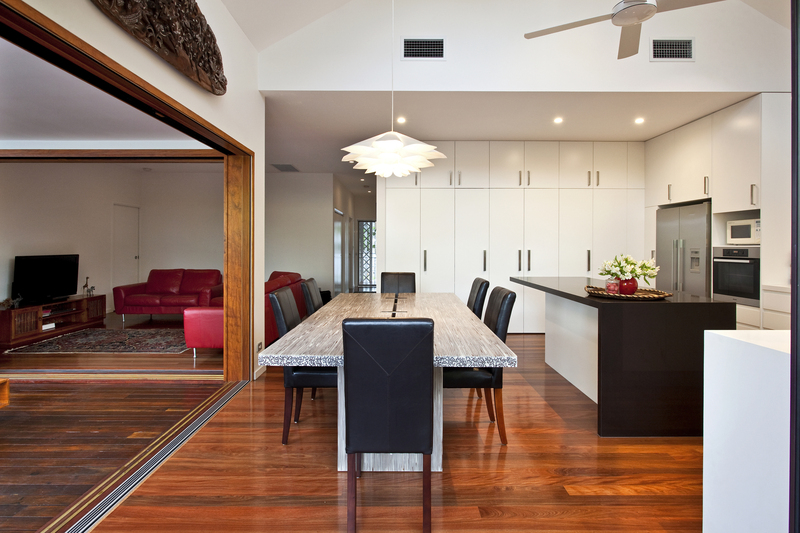 Wooden floors with a woven blue Persian rug, sanded furniture and minimal décor helps you achieve a tranquil atmosphere. A fluorescent touch is all the hype this year, so if you’re high-tech kitchen could use a splash of colour, don’t be shy to accessorize with neon placemats or even include yellow, pink and green bar stools on a grey backdrop. This trend complements kitchen technology enthusiasts so you can turn your kitchen into an internet café. A deep stainless steel basin with tall faucets built-in to your marble island counter is a contemporary and practical design. Mirrored sliding doors for your food pantry and suspended single-track lighting like built-in LEDs will enhance the neon theme. Neutrals like shale, flannel grey and pewter also take dominance this year. 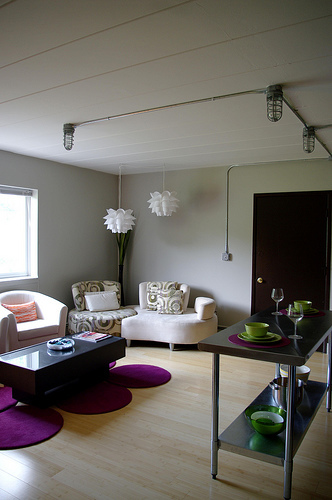 So if you can find nice suede wallpaper and layer your kitchen with chrome hardware. 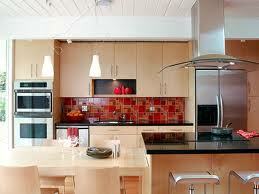 You can sharpen the overall design of your kitchen with stained, painted or frosted glass cabinetry. 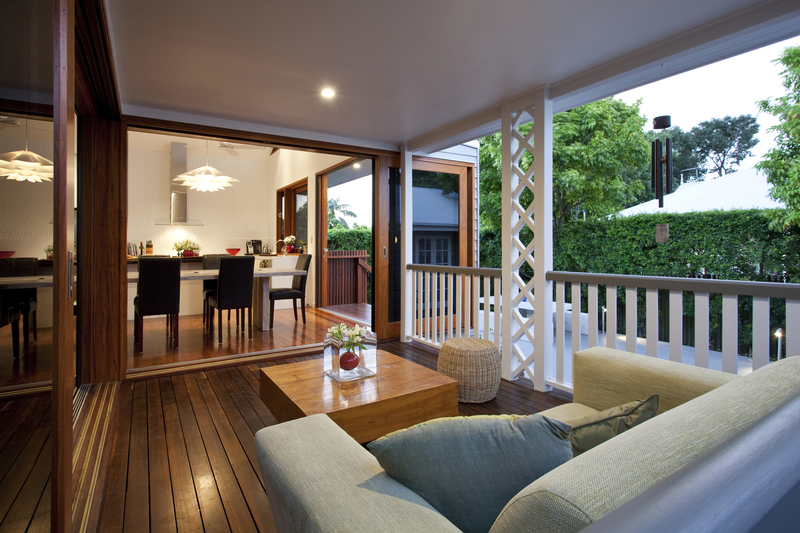 Incorporate wood and copper elements such as tables, stools, frames or décor pieces. 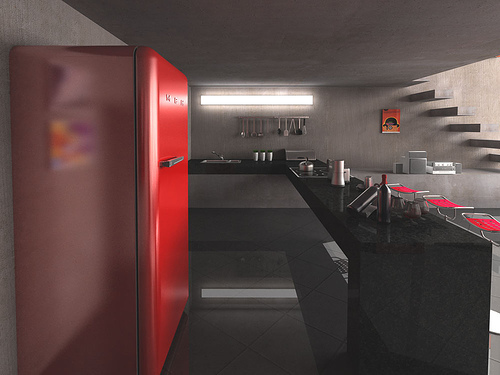 High energy colour palettes including bright yellow, red chilli and electric blue add character to your kitchen. Install stainless steel cabinetry and a unique countertop like marble, basalt, glass, steel or limestone instead of the typical granite. Whether its bold geometric patterns or botanical prints, you can create a fun retro space and further experiment with contrasting wallpaper, cushions or backsplashes. Author bio: Amna Alam is a London-based freelance writer who enjoys film, fashion and interior design.